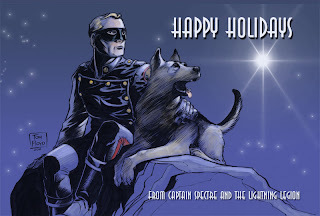 To all the loyal Legionnaires in the world, have a Happy Holiday as we go towards the new year from me and the gang at Lightning Legion Headquarters. I know it has been awhile again between updates, and I apologize yet once again for that. I am working on a couple of pieces, and finally felt well enough to throw this holiday greeting together, mainly hoping to get me into the holiday spirit. I don't have much holiday spirit from year to year. It is something I lost along time ago and never found it again. And I do apologize for that too. The day job is shutdown for awhile over the holidays, and I hope to get some work of my own done. That does include some things around the house, but mainly some serious drawing. So look for some things to pop up here soon. I hope. I do wish all the loyal Legionnaires and their families a very Merry Christmas and a good New Year. I hope this message finds you all well and it carries over into the new year. May this New Year be a better year than the past one. 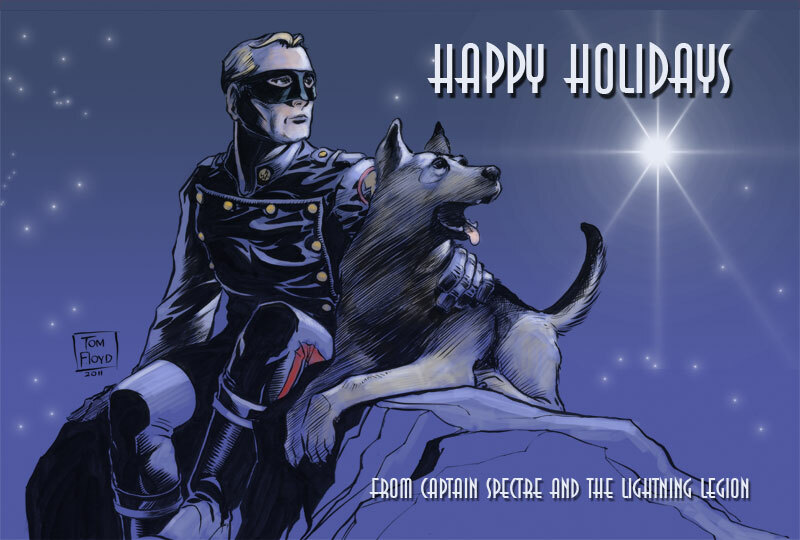 And thank you all for looking in from time to time and hopefully enjoying Captain Spectre and the other projects I try to be a part of. Thanks to each of you, you are what drives me to do the work, and I thank you. Again sorry for a late update, but if I have nothing finished or even a good sketch I don't like bothering everyone with nothing. So anyway I have a couple of things more finished. 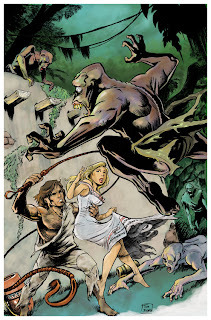 First up is more coloring on the Number 13 cover art. 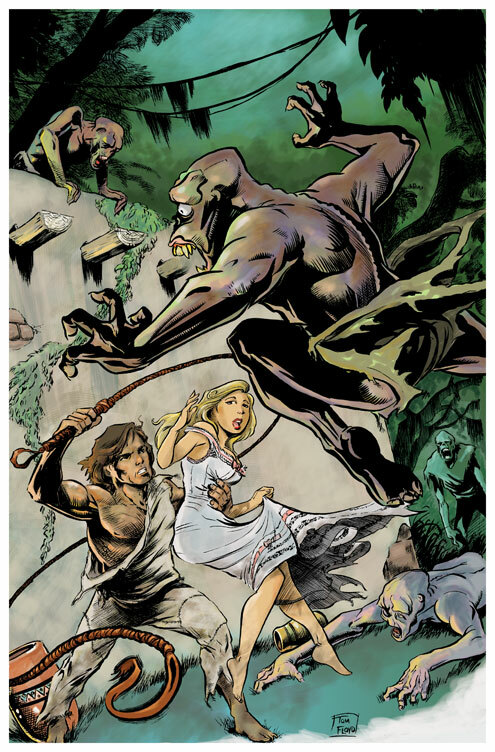 There are still a few things I want to refine in this coloring, but I do think it is finally getting there. Also today was a pretty good day. Freezing outside and all the rain I got Saturday is all frozen in the ground or on top of it. Also got a dusting of snow pebbles on top of most everything. So saturday working on the story for 'Pre-flight' a little more. 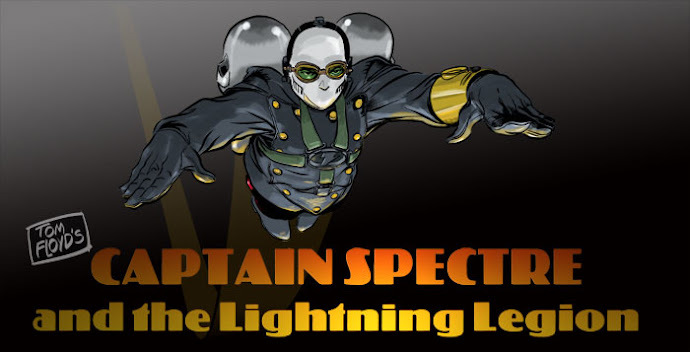 Pre-flight is the working title of the first Captain Spectre comic. 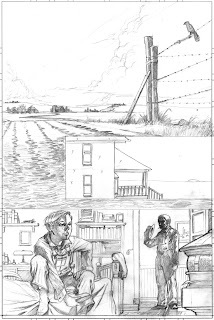 As you remember the other stories I was in development on were turning into more novella's or graphic novel length. And I wanted to get something a bit shorter and cheaper out there first to get people looking at the material. So Pre-flight is the first story. I don't want to reveal alot of the story points yet. 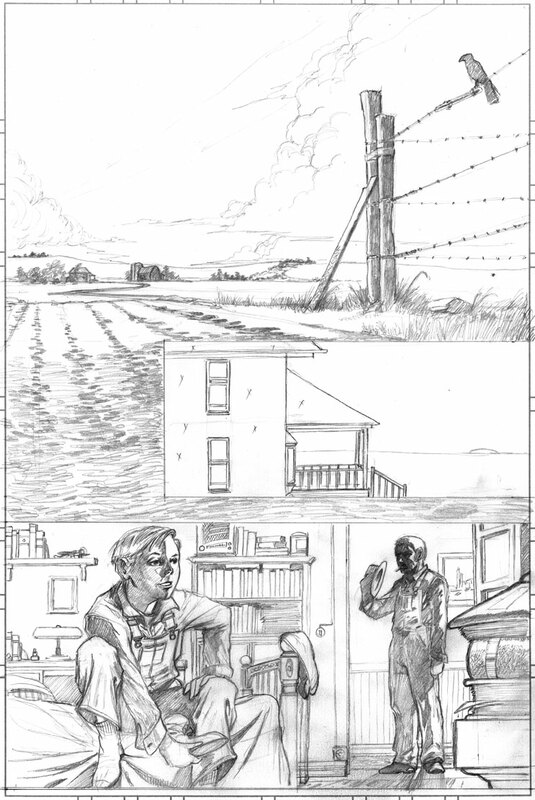 But today I banged out the first page of pencils. Enjoy Loyal Legionnaires.